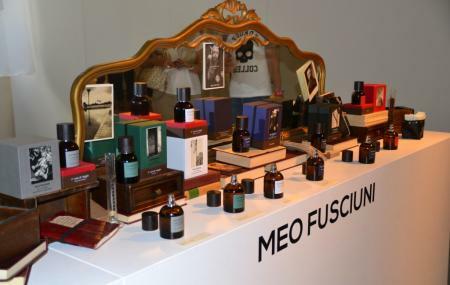 Claudia Vanossi, the owner of this perfumery, certainly knows how to charm her customers. Not even one of them can have anything but the highest of praise for her. Sure, you can order all the scents from her online, but apparently meeting her in person is quite the experience. It’s beauty shopping at its finest. Some of the scents here are very rare, and very hard to get. Girls, go shopping! How popular is Profumeria Bellagio? People normally club together Azalea-silk Of Como and Villa Serbelloni Gardens while planning their visit to Profumeria Bellagio. The store is a little gem with some wonderful niche fragrances including hard to find Acqua di Parma and Merchant of Venice scents. The two ladies are extremely helpful and made my visit very pleasant. I left with two more bottles to add to my collection. Charmante et bienveillante, des parfums rares pour ceux qui apprécient.